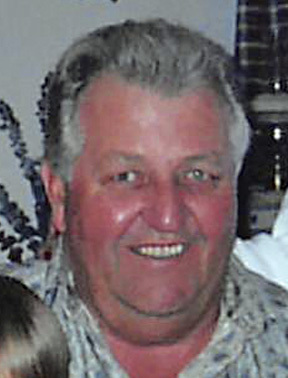 Lester Orris Herness, 78 of Ashby died Wednesday, March 20, 2019, at the Battle Lake Good Samaritan Center. Lester Orris Herness was born on December 13, 1940, at home by Dalton, Minnesota, the son of Lester and Gladys (Salvevold) Herness. He was baptized and confirmed in Bethel Lutheran Church, attended Rural School District #2 and then graduated from the Ashby High School in 1958. He served with the US Air Force from March of 1962 to March of 1966, as a computer programmer, serving at the Duluth Air National Guard Base. Lester and Karen Marie Kise were married on December 9, 1961, in the Sverdrup Lutheran Church in Underwood. Lester and Karen lived in Duluth and after his discharge they moved to the Herness Farm by Dalton, where he raised hogs. He was employed ten years with Otter Tail Power Hoot Lake Plant as a boiler operator, worked for Mark Sand and Gravel for twelve years, and then was self-employed installing mailboxes for the State of Minnesota. He enjoyed playing cards, shooting pool, ice fishing, deer hunting, rodeos, his coffee at the round table at the Ashby Restaurant, Legion Pull Tabs and especially his many vacations to Las Vegas. He was a member of the Ashby American Legion and the Bethel Lutheran Church. He is survived by his wife, Karen; two daughters, Tami (Rick) Leitch of Fergus Falls and Nikki (Allie) Johnson of Ashby; four grandchildren, Dustin, Noah, Livy and Ryder; two brothers, Lewayne (Lavaye) Herness of Battle Lake and Forrest Herness of Moorhead; sister, Barbara (Phil) Barry of Fergus Falls; and by numerous relatives and friends. Lester was preceded in death by his parents, Lester and Gladys Herness and niece, Kim Barry. Funeral Service: 2:00 PM, Monday, March 25, 2019, at Bethel Lutheran Church of rural Battle Lake. Visitation: Sunday from 3 to 5 PM, with a Prayer Service at 5 PM, at the funeral home.